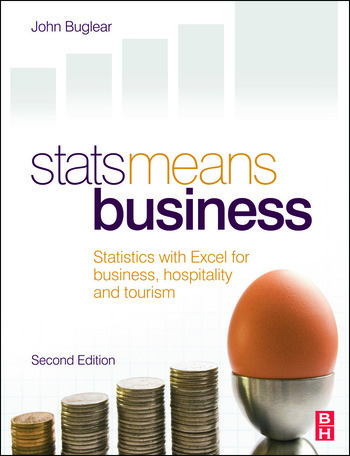 Stats Means Business is an introductory textbook written for Business, Hospitality and Tourism students who take modules on Statistics or Quantitative research methods. interpret the results of statistical analysis. This new edition includes extra content related to Hospitality and Tourism courses, an extension of the interpretation of correlation analysis and a new section on how to design questionnaires. a companion website for lecturers and students which includes PowerPoint slides, lesson plans, Minitab and SPSS recipe cards and review questions and solutions to aid teaching and learning .